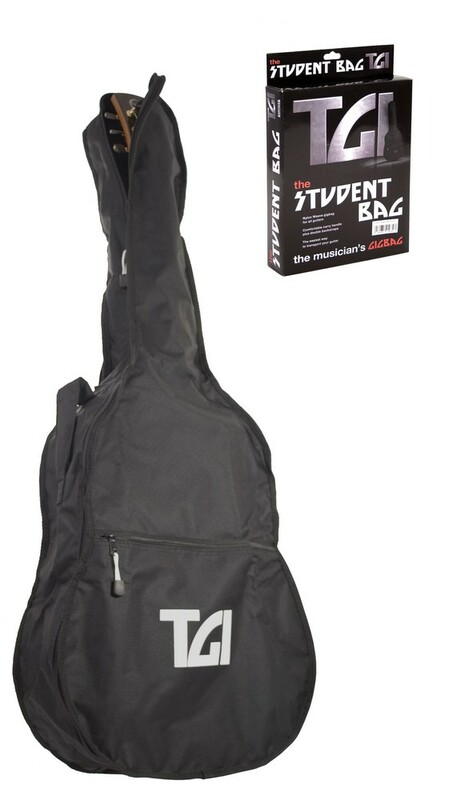 The TGI Student series of gigbags are made of a durable nylon weave with stitched edges and an embroidered TGI logo. Complete with basic back straps and handle. Bass - Length: 117.5cm, Lower Bout: 36cm, Upper Bout: 32cm, Depth: 6cm. Electric - Length: 100cm, Lower Bout: 33cm, Upper Bout: 28cm, Depth: 6cm. 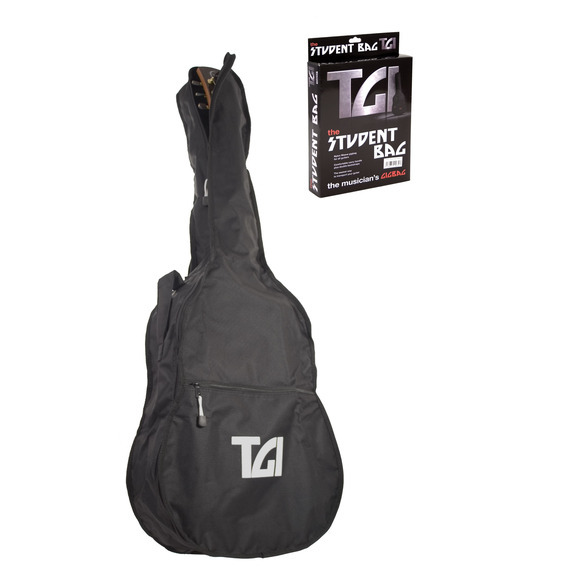 1/2 Guitar - Length: 87cm, Lower Bout: 32cm, Upper Bout: 25cm, Depth: 9cm. 3/4 Guitar - Length: 94cm, Lower Bout: 34cm, Upper Bout: 26cm, Depth: 9cm. Dreadnought - Length: 104cm, Lower Bout: 40cm, Upper Bout: 29cm, Depth: 13cm.